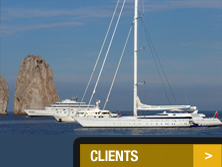 Global Crew Services has been setup to provide a personal and bespoke yacht recruitment service, tailored to meet individual needs and not a mass market. It is a boutique company that takes the time to listen to their clients specific requirements and then finds and introduces the right candidates who have the necessary qualities, experience and personalities that are being requested. 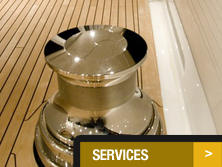 The office is based in STP, Palma de Mallorca which is the main superyacht refit and maintenance centre in Europe. 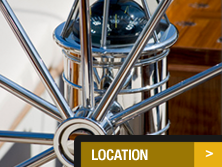 It is ideally placed for quick and easy access for the Captains and crew of the visiting yachts, and complements the other businesses that operate from the Global Building, STP, Palma de Mallorca, Spain. Zoe Benson is a Director of Global Crew Services SL and she has worked in the yachting industry for over 20 years, starting off with a flotilla sailing company in the Greek islands and then working her way up through the ranks from Stewardess on a 28m sail boat and culminating as Purser on a 133m motor yacht. Zoe has had experience on both busy charter and prestigious private boats, she has completed numerous crossings and was also involved with a two year new build project that went on to win the Superyacht of the Year Award. 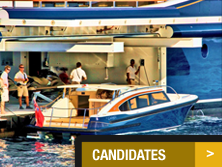 Over the years, Zoe has gained a great deal of experience and knowledge of the yachting industry and has noticed that the yacht recruitment sector has been one of the areas that has changed immensely. Many yacht recruitment agencies are now part of large businesses that are also dealing with other sectors of the yachting industry, the personal touch is being lost and that is what Zoe with Global Crew is aiming to establish once more.